Arsene Wenger – born in Strasbourg, France, on October 22, 1949 – was introduced to football by his father at a very young age. He played his first game for FC Duttlenheim at the age of 12, and then went on to have a modest playing career. Wenger first tested his management skills at the age of 33, taking charge of French club RC Strasbourg’s youth teams before acquiring proper managerial positions at Nancy and Monaco. What followed was a move to Japan, after which he finally arrived at Arsenal – the club where he would go on to revolutionize football. 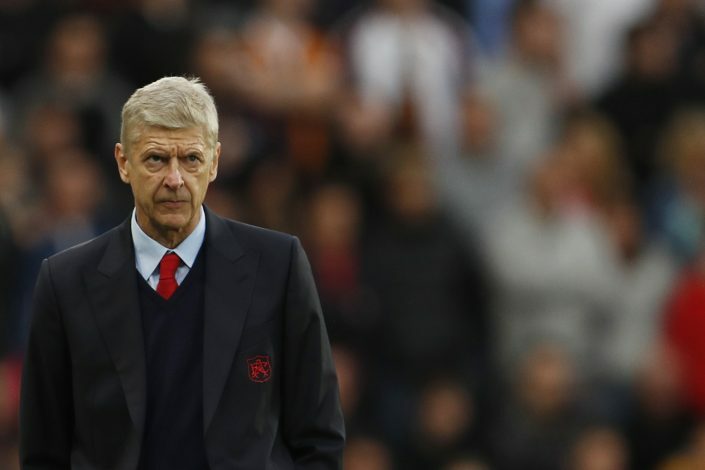 Let’s take a brief look at Arsene Wenger’s 20 successful years at Arsenal Football Club. Arsene Wenger took over the Arsenal job in October 1996, arriving in England after having managed Japanese club Nagoya Grampus Eight for two seasons. It was a surprising yet brave decision by the Arsenal board to appoint a foreign manager who had spent the past couple of years in the J-League. Naturally, Wenger was met with a lot of doubt and skepticism from both the media as well as the Arsenal players upon his arrival, with the phrase “Wenger who?” on everyone’s lips. However, the Frenchman was adamant on succeeding in his new job, and he did just that. His first official game in charge was an away fixture against Blackburn Rovers on October 12, 1996, which his team won 2-0. And from then on, the Arsenal boss has never looked back. Wenger took just two seasons to win his first silverware with his new club, as the Gunners lifted the English Premier League title in the 1997-98 season. Arsenal also managed to beat Newcastle United in that season’s FA Cup final, making Arsene the first foreign manager to win the Double in the process. He then won another Double three seasons later, as his team were crowned the English Champions during the 2002-03 season. The French manager’s most impressive achievement of all, however, came during the 2003-04 season, wherein he led his team to the Premier League title without losing a single league game. The Invincibles – as they were dubbed – achieved something that now looks almost impossible to replicate in English football. Wenger described this unbeaten title victory as one of his best moments as Arsenal boss. As mentioned by Wenger, the Invincibles had numerous players of world-class ability, but such players have been a constant presence in his teams, thanks to his speciality of spotting exceptional talents. Arsene has a track record of signing exciting prospects like Thierry Henry, Dennis Bergkamp, Patrick Vieira, Robert Pires, Sol Campbell, Freddie Ljungberg, Cesc Fabregas, Robin van Persie, and numerous others, and successfully transforming them into absolute world beaters. Wenger’s teams are famous for playing creative and free-flowing football – a style that can be traced back to his childhood inspiration and influence: Total Football. He holds the belief that playing effective football needs a perfect blend of organisation and freedom. But despite his impressive tactics and winning mentality, the 66-year-old has experienced his fair share of setbacks and failures during these past 20 years. His worst moments came especially at Old Trafford, against Manchester United – be it an embarrassing 8-2 thrashing, or a slip up that cost Arsenal the league title. But what’s past is past, and the Frenchman is now fully focused on the title race of this ongoing season. He has brought in promising players like Granit Xhaka and Shkodran Mustafi to join an already talented Arsenal squad, and will look to mount a genuine title challenge this year. A lot has been said about the Jose Mourinho vs Pep Guardiola rivalry in Manchester, and the passionate and raw emotions expressed by the likes of Jurgen Klopp and Antonio Conte as well, but Arsene Wenger remains the most experienced manager in England, and he may just bring the title to the Emirates this season! In his twenty years in England, he has already won three Premier League titles, six FA Cups, and six FA Community Shields, whilst also winning the Premier League Manager of the Season Award on three occasions (1998, 2002, 2004). The man has had a long and fantastic career at the topmost level of European football, and is sure to go down as a legendary manager of this beautiful game. 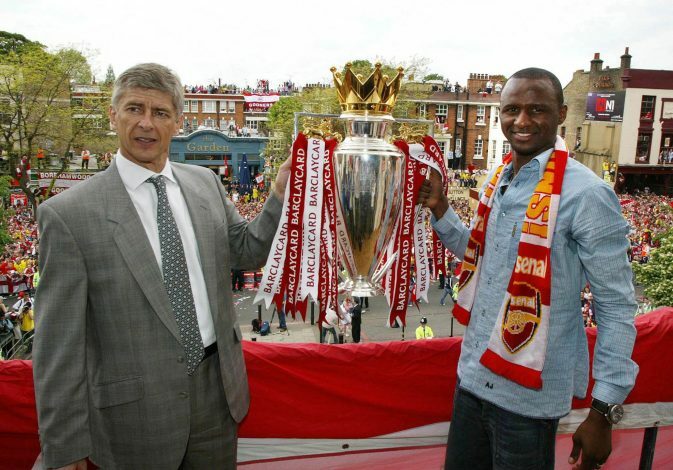 Congratulations on your 20th anniversary, Arsene! Much respect.